tourist | Catrina Latrice Williams. 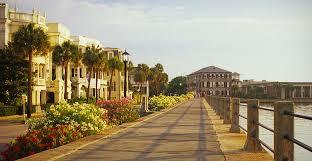 Sightseeing in Charleston is a beautiful, historic experience for anyone who visits. According to Travel and Leisure, Charleston, SC was rated the number one best city in the world for the years 2015-16. It is known for its spectacular architecture with marvelous million dollar homes on its battery in the historic downtown. There are beautiful botanical gardens with a history dating back to the late 1600’s. Many tourists come to see Fort Sumpter where the civil war battle was fought. They will find luxury five-star accommodations like the Belmond Charleston Place to relax and retreat. When visitors are looking to get a fine taste of Charleston style, they can visit delicious seafood restaurants like RB’s Seafood with breath-taking views of locals, canoeing down the river while eating. Visit PopularTravelServices.com for more information on your next vacation to Charleston, SC.